If you are looking for clean lines and low maintenance doors then a uPVC doors is ideal for you. A quick wipe with a cloth is all you need to get rid of the dust and grime from your door to keep it looking nice and clean. Security is a top priority for all the doors we fit. The uPVC door is one of our strongest and safest doors we stock with robust hinges and a strong multi-point locking system to give you the security you require. Markwell range of uPVC doors includes a double glazed option. Double glazing acts as a great noise insulators protecting you from any outdoors noises. Double glazed uPVC doors are also highly energy efficient and stop the cold air from getting in and the heat from escaping. A uPVC doors is weather resistant and will not rot in even the dampest weather. Markwell offers a vast range of designs and colours in uPVC doors. We can supply and fit these doors to your entire home, including all your exterior and interior doors, french doors and patio doors. 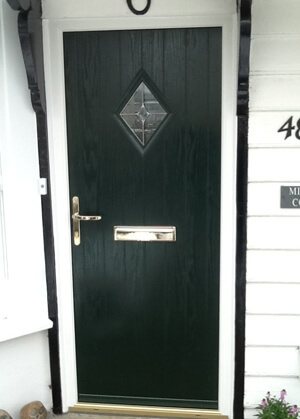 All doors made by Markwells are made to the highest quality and standards. Our experienced and professional team will help you to choose the right uPVC door for your home along with making sure your installation runs smoothly, is cost effective and creates minimal disturbance to you. call or email us and we will be more than happy to help you. You can also drop in at our store if you happen to be in the Herts & Essex area.